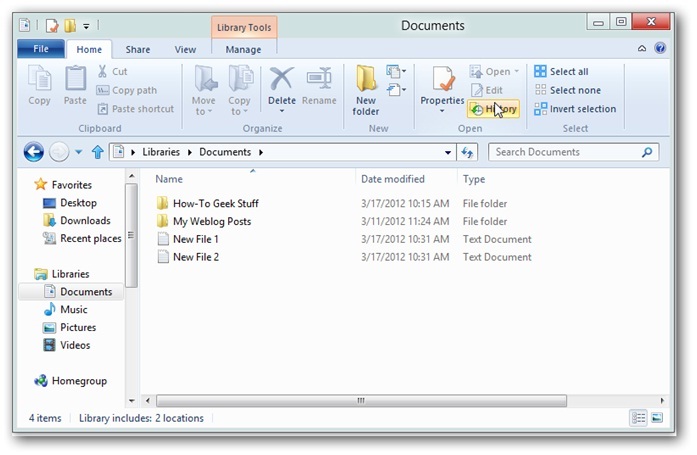 In this tutorial we will tell you about how to recover deleted files from Windows 8. Here’s the complete procedure.Have you ever permanently deleted a file or document that you didn’t wish to and desired to recover it but didn’t get it in the recycle bin? Don’t worry, Windows 8 users may still get it back. 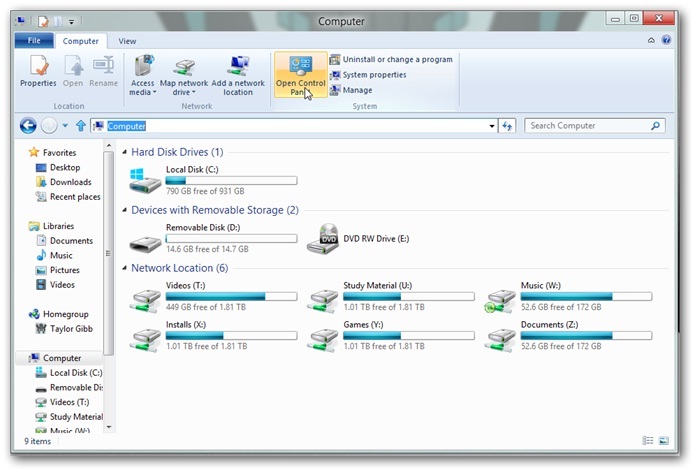 Windows doesn’t delete the deleted files in an instant from your hard drive. In fact, the storage space is just marked as empty so that fresh data can be written over it. Buying second hand computers over the Internet is quite popular among Internet shoppers and the latest ones have mostly Windows 8 already installed on them. Windows 8 contains a new feature known as ‘File History’ that backs up, or caches, different versions of documents and some other data files, so to enable recovery of deleted or previous versions of those data files. The only trouble one may face in this great feature of Windows 8 is that File History option is by default disabled, so one will need to enable it first. In this article we have used a networked folder but you may simply use an USB drive and just skip the creation of network folder. 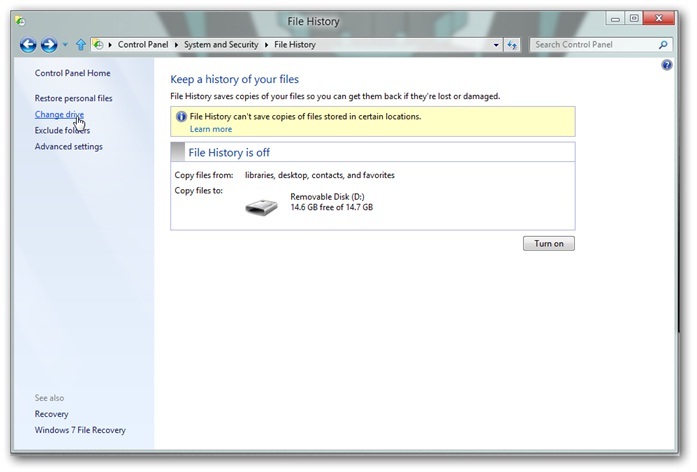 When using an USB drive, go to the File History option in Setting and turn it on. 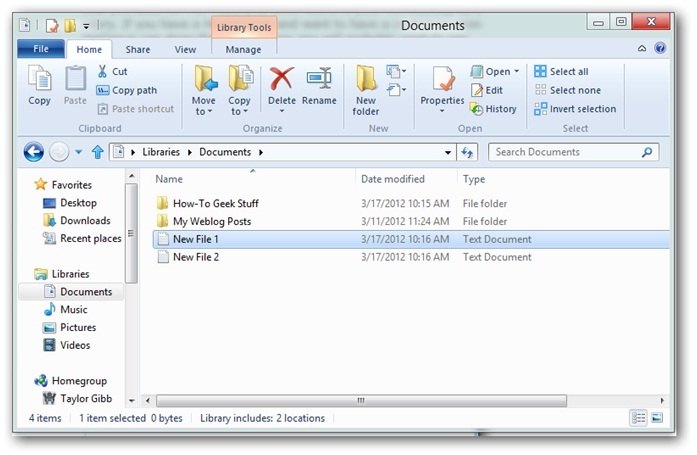 To recover deleted files in Windows 8, just follow some simple steps given below. When we desire to implement File History feature with a network share, the first thing is the creation and then sharing of the folder. 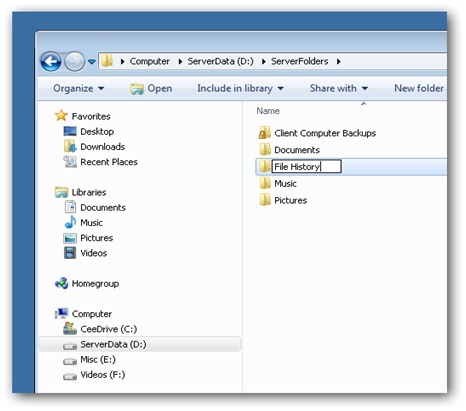 So create a folder on home PC or the desired server and name it as File History. 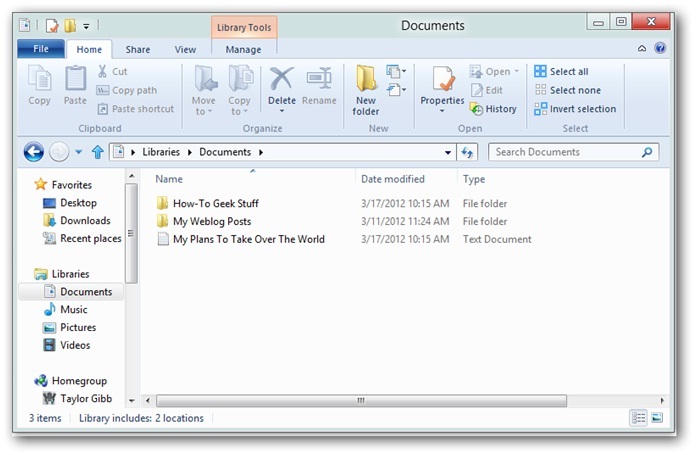 Now right click on the File History folder and opt for Share with option. Then click the Specific people option. After typing ‘Everyone’, click on the Add button. 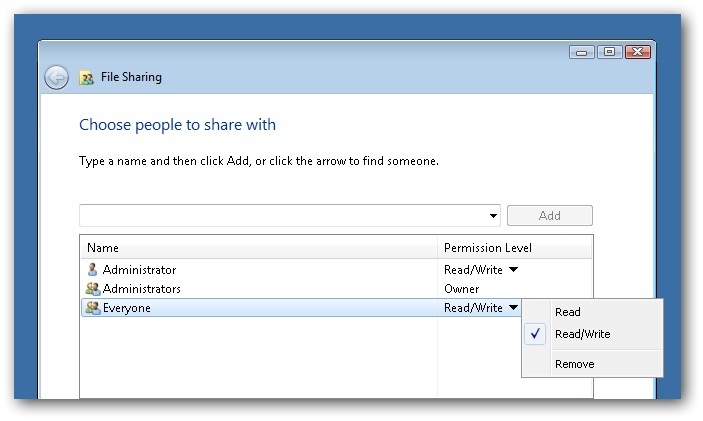 Now alter the Permission Level so to grant Read/Write permissions to everyone. 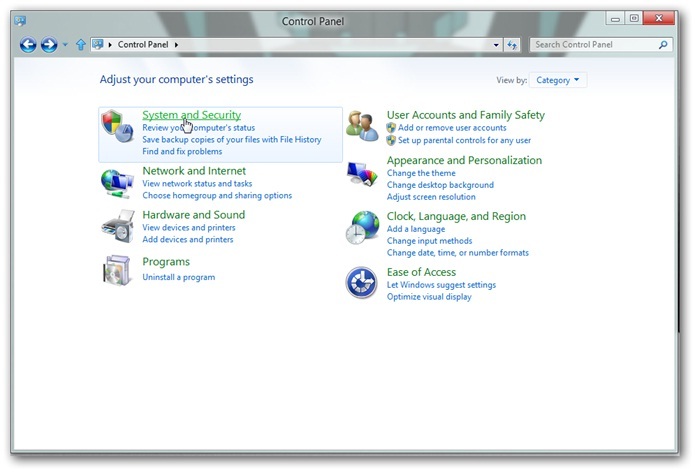 Now after switching back to Windows 8 system and launching the Explorer, click on the Open Control Panel. 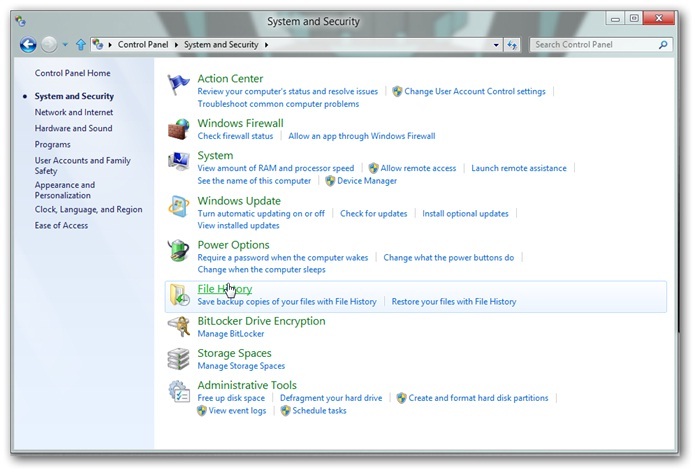 Now click the System and Security option. 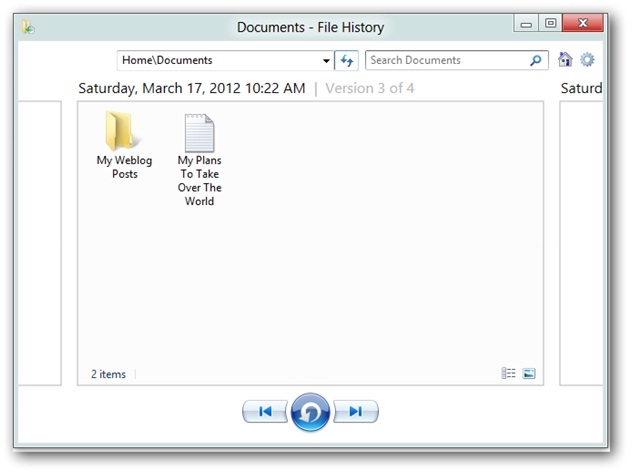 Now open the settings for File History by clicking the File History option. 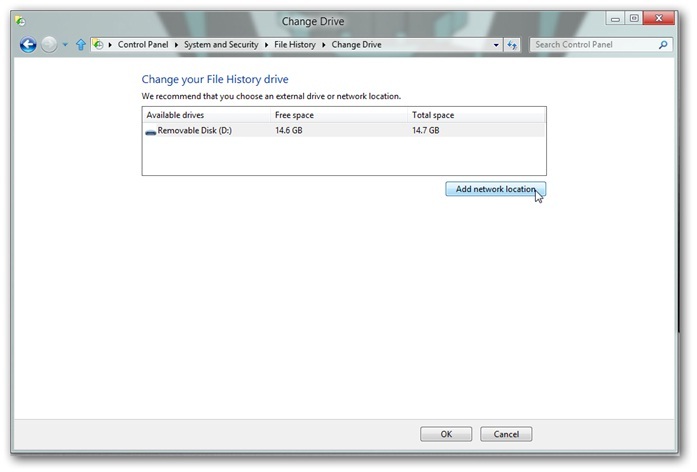 On the left side click the Change drive option. Now you’ll require for adding the desired network location. So click on the Add network location. 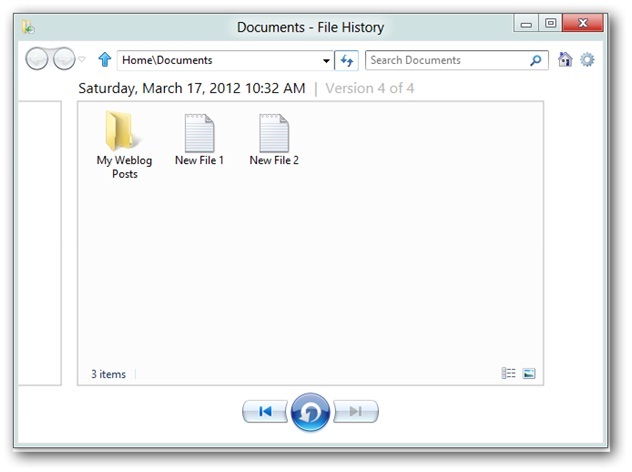 After browsing to the shared File History folder, click on the Select Folder option. Just make sure that your desired network location is properly selected and then click on the OK button. Finally, click on Turn on button to enable the File History feature. 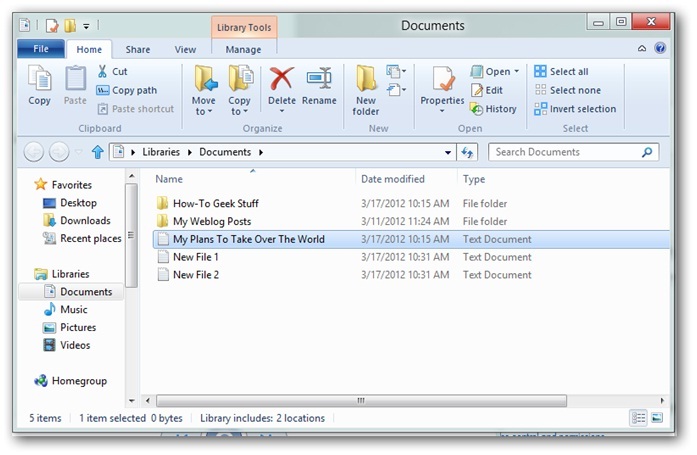 Now, there is a particular file named as, ‘My plans to take over the world’, in the Documents Library which is going to be deleted and thus restored back after utilizing the File History feature. 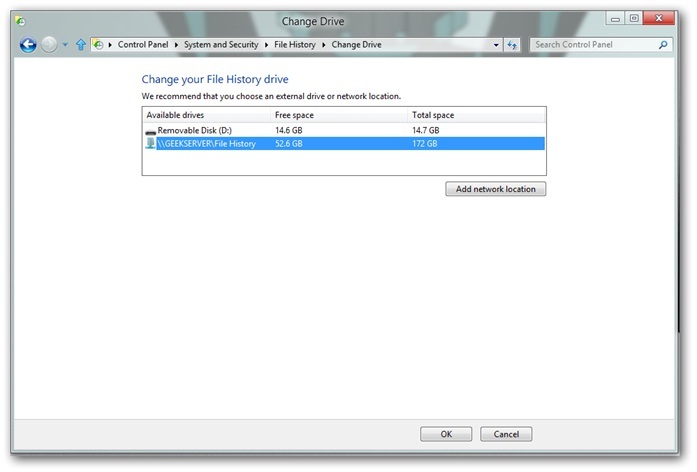 The file is permanently deleted by Shift + Delete option and two another files named as ‘New File1’, ‘New File2’ are further created. Now few days later we have to recover back the deleted file for some reason without effecting newly formed files. 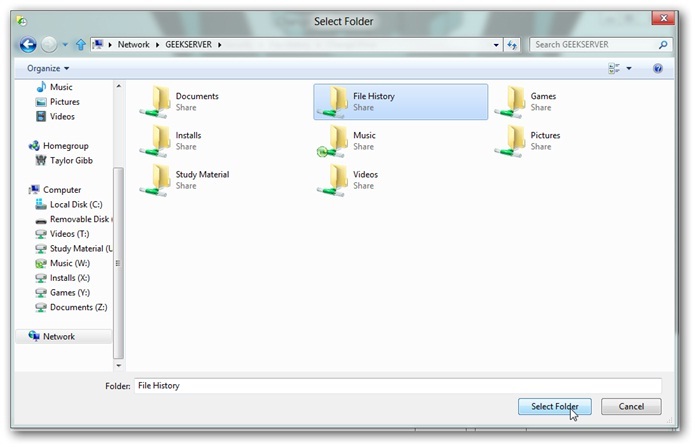 To do so opt for the File History option on the ribbon. This will open the File History browser. In it you’ll find all the distinct versions of your Documents Library. Now if you scroll to version 3 of 4 using the left arrow, you’ll find the deleted document ‘My plans to take over the world’ present there. Now just select the desired file and click the blue orb, which will restore back the deleted document.